the Fens and the far Southeast. It is thinly scattered elsewhere. 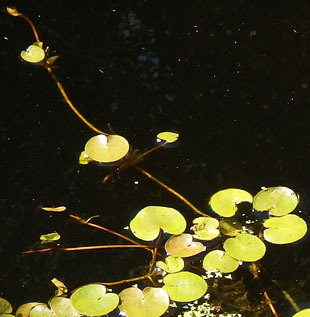 ditches ponds, canals and lakes. 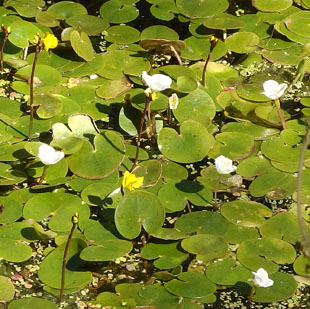 Frogbit is a native, perennial herb with floating stolons up to 50cm. 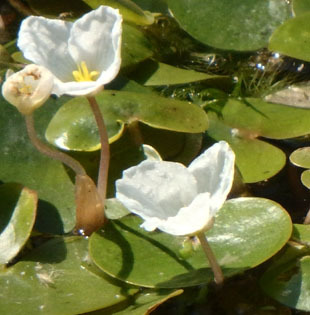 Flowers are monoecious and held above the water on spathes. 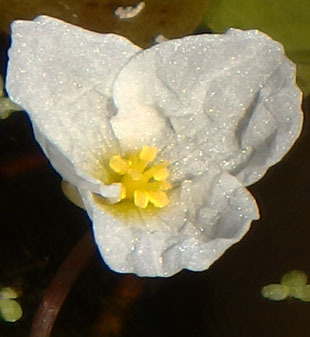 petals with basal yellow markings. 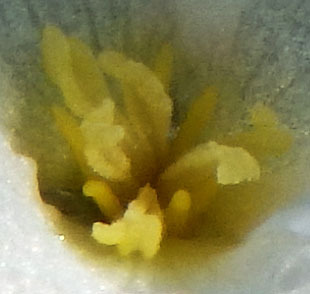 Male flowers have 6 yellow stamens. 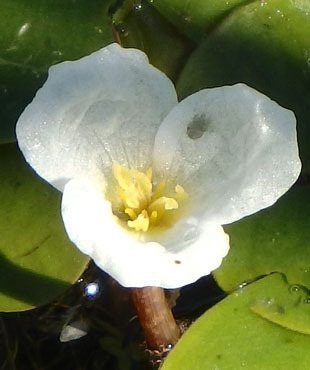 Female flowers have 6 bifid styles. 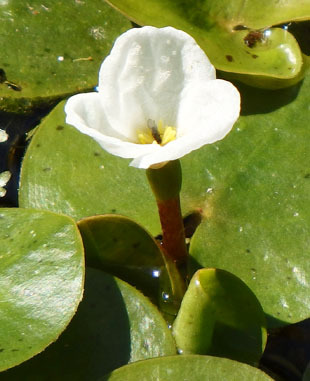 Reproduction in the UK is mainly vegetative. 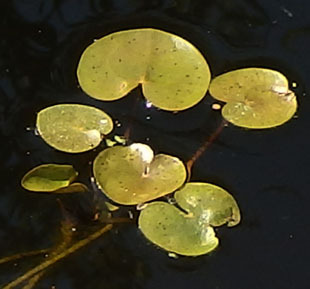 Leaves are kidney-shaped, up to 5cm and with long stalks.